Musiikkia, festivaaleja ja ilotulituksia, sitä on Sveitsin kesä! Minulla on ollut ilo viettää pitkän Suomi-loman sijaan, kesää tänä vuonna täällä kotosalla ja en voi valittaa, sillä kelit ovat olleet aivan mahtavat. Kesä on ollut kaikin puolin oikein loistava, olen saanut nauttia monista kivoista tapahtumista sekä olemme harrastaneet kotimaanmatkailua ja nähneet monia upeita paikkoja. Elokuun aloittaa Sveitsin kansallispäivä ja eripuolilla järjestetään lukuisia tapahtumia, muutoin kuukausi jatkuu samalla kaavalla: Musiikkia, festivaaleja ja ilotulituksia! 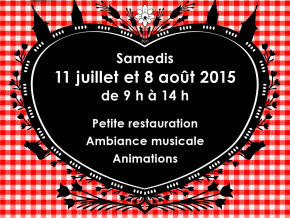 Animations et buvettes seront proposées au centre du village dès 17h. La cérémonie officielle débutera à 19h30: fanfare, cors des Alpes, allocutions, cortège et vin d’honneur réuniront la population jusqu’au bouquet final de la cérémonie d’embrasement du feu par la Jeunesse (22h). 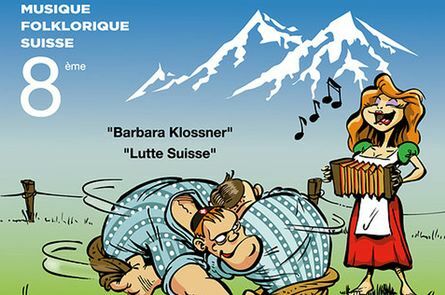 Outdoor games, folkloric music and laughter are part and partial of the Swiss national holiday celebration, where we will reward the participants in our traditional tournament with a little snack "Made in Switzerland". Born from the great “Venetian style” party of 1860 on the lake in honour of Napoleon III, this event has evolved and integrated all the new technologies of fireworks. The town, especially lakeside, will once again sparkle with the Lake Fireworks Festival. 1 hours and 10 minutes of non-stop display to appreciate the magical surroundings, the connection between fireworks and music, the entertainment and the public's involvement. One city, one vocation. 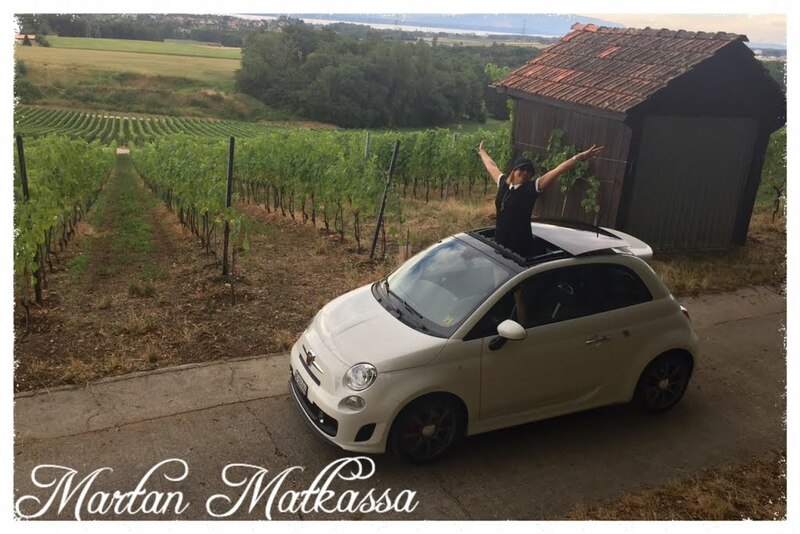 A cannon tied in a knot, Switzerland’s largest painting on ceramic, a chair for a giant, Chinese monoliths older than life on Earth and many other curiosities await you on this tour. 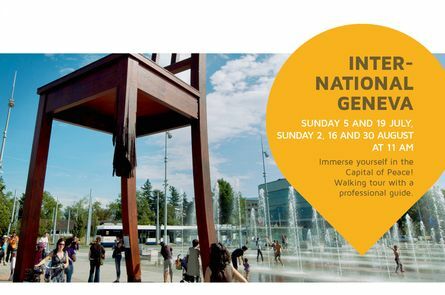 In the midst of green open spaces and centuriesold trees, you’ll be able to discover the history and activity of many of the organisations which symbolise the international vocation of Geneva. 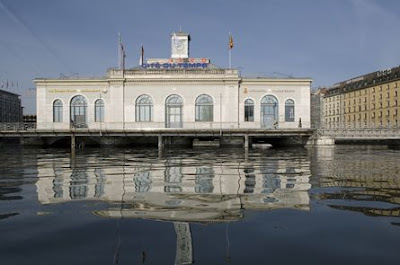 Starting point: Geneva Tourism 11 am. The story of the heart of the city, told by an official guide. Surprising tales and legends will be revealed through an entertaining guided tour of the Old Town! 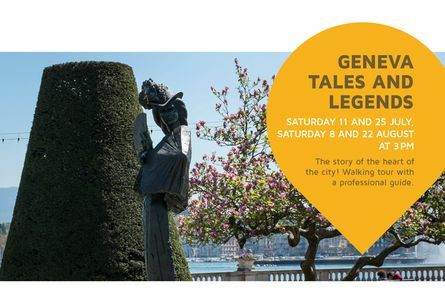 With our official guide, enter the fabulous world of myths and legends of Geneva. Along the streets, fascinating stories will be revealed and the mysteries of the Old Town will be unmasked! 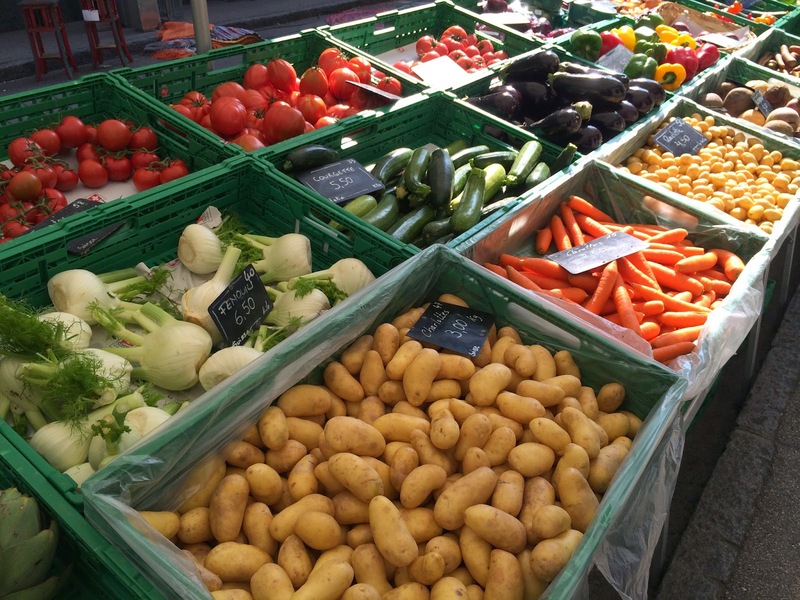 Ce marché vous propose de découvrir des produits du terroir ainsi que des créations artisanales. 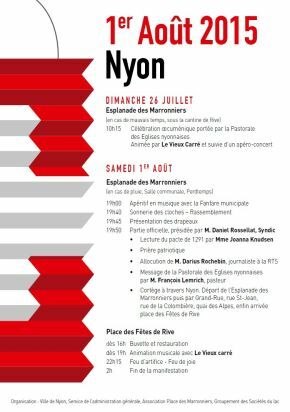 Des animations musicales sont à découvrir sur la place de l'Eglise. Petite restauration et boissons disponibles sur place. As every year, we all look forward to the display and wonder how it will look. The traditional Geneva Festival firework display takes us on a spellbinding journey for 55 minutes of magic and surprises. Back on 800 years of history since the creation of the castle and the birth of the city. One and half to two hours walking tour. Registration at Rolle Tourisme. other dates on request, tourisme@rolle.ch / CHF 7.- per person / free for children up to 12. Imagine a month of festivities taking place, and to crown it all, one of the world’s most spectacular musical firework displays! Every year 2 million visitors come to enjoy the Geneva Festival. The free concerts for young and old alike take place on four open air stages. Embark on a world tour of flavours with 30 different types of cuisine and experience the thrill of 70 merry-go-rounds! One of the world’s greatest firework displays, the final flourish of the festival, amazes an audience of 500,000. The breath-taking show last 55 minutes and sets the lakeside ablaze. You simply have to see it to believe it! Geneva photographer, Christian Pfahl, spent a year capturing the different facets of watchmaking DNA present in the landscape of Calvin’s city, and particularly on the Geneva Watch Tour route, mainly in the center of Geneva.From the SIHH flags fluttering in the winter north wind on Mont Blanc bridge to the Grand Théâtre lit up with the splendor of the Grand Prix d’Horlogerie de Genève, via the façades of buildings divided by the names of the big brands spelt out, 24 photographs reflect that which makes Geneva unique in all the world, like so many time zones of visitors from around the globe. Free outdoor films by the lake. 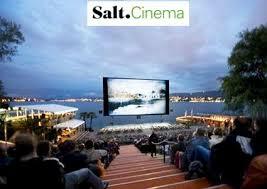 A chance to watch a movie under the stars while enjoying one of the city’s best outdoor scenery: Lake Geneva. Movies will be playing in its original version. 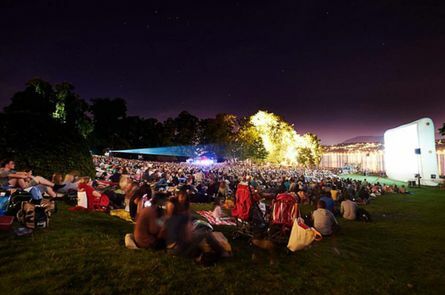 Music in Summer is a festival organized by the city of Geneva. During the entire summer, more than thirty concerts will take place in outdoors places such as Cour de l’Hôtel de Ville and Ella Fitzgerald stage in Parc de La Grange. This festival propose classical, jazz and world music with more than 350 artists from here and there. The Street Artists Festival brings together some thirty groups of artists who present about 200 shows free of charge during this three-day festival. The old town of Vevey transforms itself into a vast big top of jugglers, acrobats, contortionists, fire-eaters, mimers and artists from all over the world, performing for the enjoyment of young and old. A jury composed of showpeople and local personalities judges the artists and, at the end of the competition, awards a Gold Cobblestone to the winner. The public is also invited to vote, by awarding the "Special Public Prize". 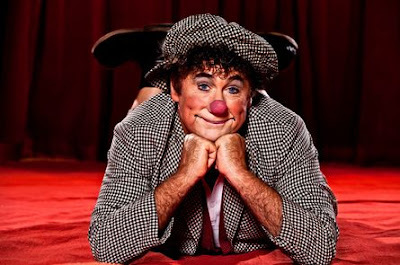 On Sunday, the larger shows are presented in the Place Scanavin and neighbouring streets. 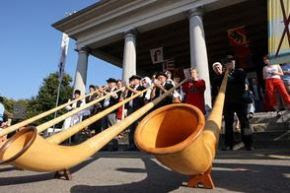 The Festival of Vevey has become the rendez-vous that marks the end of the school holidays, a festival for young and old in a convivial and wholesome atmosphere. Garden sale from individuals. Be welcome to our "flee market" and discover the treasures presented in a friendly and relaxed atmosphere. “Straddling” the French-Swiss border, more than 80 exhibitors from the two countries present their products, in addition to entertainment for children and adults. 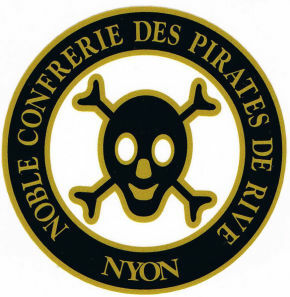 22.8 la - 23.8 su, Nyon, Pirate's celebration, Animations, Pirates's village, Boat drive on the Nyolue. For more than ten years, Salt Cinema has been enthralling thousands of film fans each Summer in Geneva. 9 pm. Concerts, dance, art shows, theater events and other performances are featured throughout the duration of the festival. During 16 days discover international artists or local artists in different places. For more than 40 years, the Place du Marché (Market Square) and that of the Hôtel de Ville (Town Hall) have been the scene of the traditional folk markets of Vevey. Every saturday, from the beginning of July to the end of August, from 10.00 to 13.00, crowds of people, from Vevey and surrounding areas, as well as tourists from all over the world, have been gathering under the Grenette and in the Town Hall Square, to enjoy the summer warmth and festive atmosphere, while tasting the wines from the local vineyards. The stands are lively and colourful, thanks to groups of musicians and folk dancers all adding to the convivial setting. Tissot presents an action replay of its long and impressive history of sports timekeeping in a special exhibition. A total of 40 highlight timepieces, teamed with an interactive table presenting the brand’s archives relating to sport, film footage and dynamic sports posters recount this fascinating story. Each chapter shows how a passion for performance and precision continually unites the brand with sport. 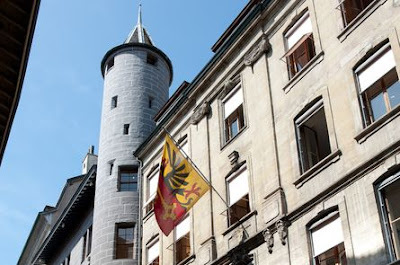 To coincide with the celebrations of the bicentenary of Geneva’s entry into the Swiss Confederation, the Maison Tavel is examining the mechanisms that enabled the people of Geneva to acquire their Swiss identity. Education, commemorations and the arts have all been driving forces of this assimilation, which finds expression both in the public space and in everyday domestic life. Quartier Libre SIG decided to pay tribute to this Austrian painter who, throughout his life, encouraged and developed, an environmentally-friendly way of living. Across his works and architecture, he attempted to reconcile the human and his environment in the hope of re-establishing a place of living in harmony with nature. The exhibition features Hundertwasser’s visual and architectural works proving his commitment to sustainable development and rejection of conformity. From painting to architecture, Hundertwasser lets the colour burst out, eliminates the straight geometrical line and tirelessly invites vegetation to expand. 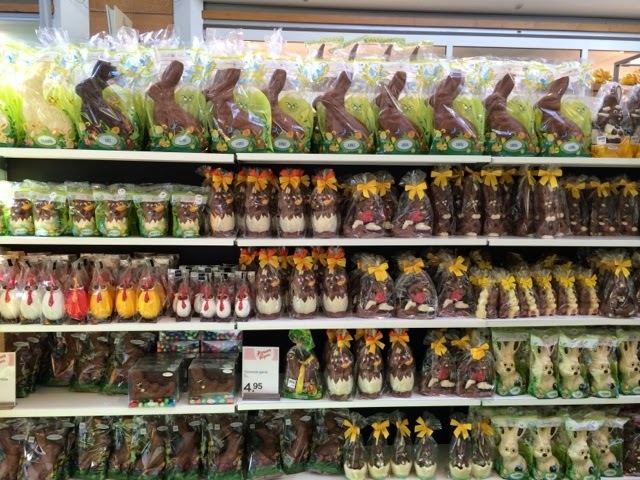 Geneve, Plainpalais isot ruokamarkkinat, hedelmiä, vihanneksia, lihaa, kalaa, mausteita, juustoa ym. Tunnisteet: 2015, Geneven seutu, heinäkuu, Minne mennä tänään?, Tapahtumakalenteri, Whats on? Me Papin kanssa päädyimme Antibesiin pienen virheen kautta, olimme olleet päiväretkellä Grassen hajuvesikaupungissa ja meidän oli tarkoitus mennä tapaamaan ystäväämme Cannesiin. Olimme mopedilla liikenteessä ja suunnistimme hotellin antaman turistikartan varassa joka oli suuntaa antava. Kuvitteimme olevamme Cannesissa ja pysähdyimme hahmottamaan sijaintia korkean kukkulan päälle josta oli upeat näkymät alla olevaan tuntemattomaan kaupunkiin. Papin selvitellessä sijaintiamme, napsin muutamia kuvia ja jaloittelin hieman ajomatkan jälkeen. Papi oli selvitellyt puhelimessa sijaintiamme ja sai kuulla että olemme ajaneet Cannesista rutkasti ohi, joten Cannesin vierailu jäisi tämän päivän osalta väliin. Harmitti! Lähdimme liikenteeseen ja päätimme pysähtyä kotimatkan varrella sijaitsevassa Antibesin kaupunkiin huilaamaan hetkeksi ja lepuuttelemaan ajelusta puutuneita jäseniämme. Saavuimme Antibesiin ja ilta alkoi jo saapua, mutta edelleen oli todella lämmin. Ostimme herkullisesta jäätelökioskista jäätelöt ja kävelimme keskustan katuja pitkin ja poikkesimme satama-alueelle. Kävelimme muurin viertä ja satama-alue oli täynnä toinen toistaan suurempia veneitä ja jahteja. Muurin päälle pääsi kävelemään, sieltä oli upeat merimaisemat ja näkymät kaupunkiin sekä satama-alueelle. Muurin päällä oli valtavan kokoinen taideteos, joka kuvasi istuvaa ihmistä se oli tehty valkoisista kirjaimista. Teos oli tosi vaikuttava ja se näkyy varmasti pitkälle merelle ja korkealle kaupunkiin. Vanha kreikkalaisten perustama kauppakaupunki sijaitsee vallien suojassa Cannesin (9km) ja Nizzan (18km) välimaastossa. Antibes on tyypillinen vanha kaupunki, sen edustalla sijaitsee Euroopan suurin jahtisatama, joka on täynnä luksusveneitä. Kuuluisaa Cap d’Antibesin niemeä kutsutaan myös nimellä ”Billionaires Quai”, se on yksi Ranskan Rivieran ylellisimpiä asuinalueita ja siellä on lukuisia upeita huviloita. Läheinen Juan les Bins on turistien suosima rantalomakohde, joka on tunnettu vilkkaasta yöelämästä. Heinäkuussa kaupungissa järjestetään suosittu Jazz-festivaali. 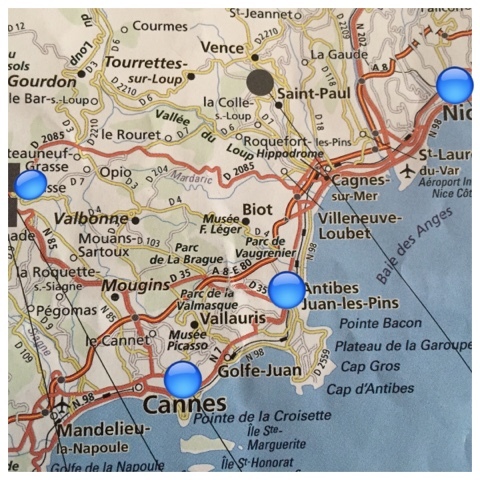 Antibes (Antipolis) ja Nizza (Nikaia) ovat perustettu Antiikin Kreikan aikaan noin 500 eKr. kauppakaupungeiksi. Kaupungit sijaitsevat vastakkain Enkelinlahdella ja tämän vuoksi Antibes tunnettiin aikaisemmin nimellä Antipolis eli ”vastakkainen kaupunki”. Rooman vallan aikaan alue kehittyi sitä alettiin kutsumaan Provenceksi, Antibesista tuli tärkeä merenkulkukaupunki. Provence liitettiin Ranskaan vuonna 1481 ja Antibes sijaitsi Ranskan ja Savojin rajalla. Keskiajalla Provencessa käytiin lukuisia uskonsotia ja sekä taisteluita naapurivaltioiden kanssa ja Antibesiä pidettiin haavoittuvana. Kaupungin ympärille rakennettiin muuri sekä tähdenmuotoinen Forte Carré-linnoitus suojaamaan kaupunkia ja sen asukkaita. Sanotaan että Ranskan vallankumouksen aikaan Napoleon ollut vangittuna Forté Carren linnoituksessa muutamien päivien ajan. Nizzan kreivikunta liitettiin Ranskaan vuonna 1860, tämän jälkeen linnoitus menetti merkityksensä ja Antibesin kaupunki alkoi laajentua maaseudulle. 1800-luvun lopulla Ranskan Rivierasta tuli suosittu matkakohde ja tuolloin muodostui Juan les Pinsin rantakohde ja Cap d’Antibesin alue, jonne varakkaat ihmiset rakensivat hienoja taloja. Antibes houkutteli useita taiteilijoita, näyttelijöitä, poliitikkoja, kirjailijoita lomailemaan mm. Charlie Chaplin, Marlene Dietrich ja Picasso. Picasso asui pitkän aikaa Château de Grimaldissa ja maalasi taulujaan, tänä päivänä rakennuksessa sijaitsee Picasso museo.